Safety in information Highway – the Internet is critical for safe passage while you are there. The information you provide willingly or otherwise can and may be used against you. The following is part of the series on ‘Internet Safety Tips for Everyone’ articles in TargetWoman. Privacy Issues: GDPR – the General Data Protection Regulation is a global data protection law passed by the European Union that shifts the ownership of customer data from the entities that use it to the individual customer. What this means is any data that can be used to identify an individual – be it genetic, psychological, cultural, religious or socio – economic – they all now come under the GDPR umbrella. Every site will now need to set clearly in their privacy page – how the information is collected and how the data will be used – to how long this set of data will be stored. As per this regulation, the customer has the right to withdraw the consent whereupon within a reasonable time frame, the company has to remove all traces of the data collected from the particular customer from their records. Google as the single largest online entity tracks quite a bit of information about the sites you visited through their searches, places you visited and Videos you have seen over a long time frame. Google’s location History can pinpoint where you have been through your Android Mobile phone’s GPS receiver and cell tower triangulation. This is not all. Your Mobile Phone may run background location services can use wifi positioning in its quest to accurately locate your position. Remember the cardinal rule in computers – unless you absolutely need it, don’t run it. This rule applies to all software, services and apps. Unless you absolutely need the location services, turn it off. If you need the location services occasionally, you can decide which app needs that. Many apps require GPS receiver to provide the location data or source it from Cell towers wifi Access Points. For example, your IPhone’s built in Compass will not work without the location services. In IPhones, go to Settings – > Privacy -> Location Services and scroll through the list of apps which require the location services. Find IPhone, Google Maps, Maps, Uber and Weather are some of the apps which require your location to work. You can allow them by selecting the option :’while using’. In Android Phones – the drill is similar. Go to Settings – the gearwheel icon – > Scroll down to the Location Settings -> Location History On and toggle the switch off. Whilst at it you can purge all your history by selecting ‘Delete all Location History’ . Remember many services in apps may require your location services to work properly. You can’t call Uber cab unless the app knows where you are. But at the same time, there is no need for the app to constantly ping your location to their servers. Most apps will happily work with location services made available when they are open. There may be exceptions like Zus Smart Car Locator which requires that the location services are enabled all the time for it. If you turn off the location services for most apps, your Phone battery will retain its charge for longer duration. GPS receivers are power hogs. Web & App Activity – Slide Button : Saves your activity on Google sites and apps to give you faster searches, better recommendations, and more personalized experiences in Maps, Search, and other Google services. Location History – Slide Button: Saves where you go with your devices to give you personalized maps, recommendations based on places you’ve visited, and more. 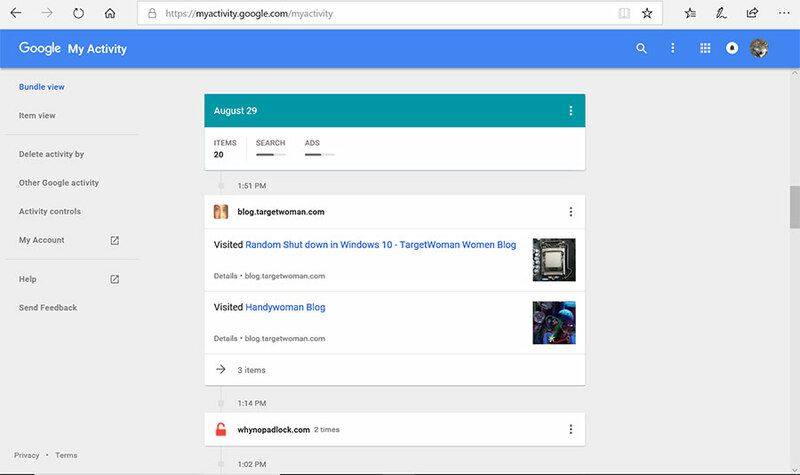 Stores info about your contacts, calendars, apps, and other device data to improve your experience across Google services. Voice & Audio Activity – Slide Button: Records your voice and audio on Google services to improve speech recognition, like when you say “Ok Google” to do a voice search. YouTube Search History – Slide Button: Saves your searches on YouTube to make your future searches faster and improve your recommendations. Makes it easier to find YouTube videos you’ve watched and improve your recommendations in YouTube and other Google services. Check all entries and delete entries you don’t want there. If you ask me, purge all of them and block them in the first place. If you are one of those with high risk online behavior, your personal data can easily be compromised. What is worse, your computer can end up running backdoor processes that can ‘call home’ – sending sensitive information to any hacker. As part of my job of securing computers, I had to format the drives and install Operating System (OS) afresh in compromised computers. We managed to save time and effort by creating System images after installing all the software required for the staff and saving it elsewhere. Every month, we formatted the hard disk and restored the system from the saved system image. 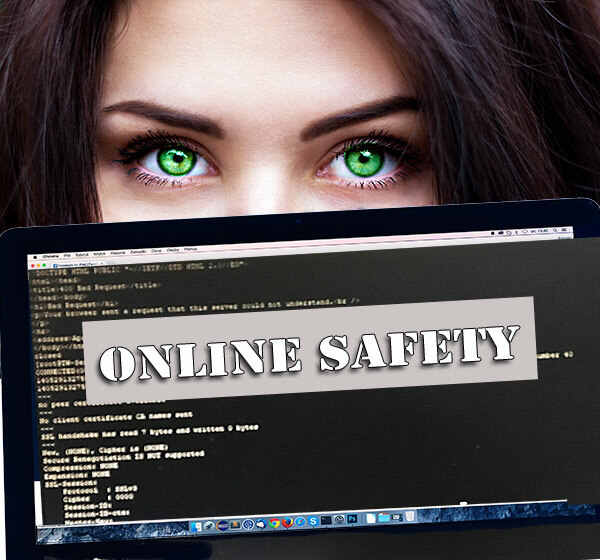 If you have a high risk online behavior, you should try Sandboxie – a software that runs browsers like Firefox Portable version within its Sandboxed environment – thus protecting you from malicious software, some viruses, ramsomware and zero day threats. Purge the version of portable browsers often as a precaution. Never – Ever use public Wifi to log on to sensitive sites – your bank accounts, official emails and your social Networking sites. The man-in-the-middle attack is lesser with most sites opting for the HTTPS (Hyper Text Transfer Protocol Secure from the common HTTP (Hyper Text Transfer Protocol). The communication between your browser and the target Server is encrypted using TLS (Transport Layer Security) or the earlier SSL ( Secure Sockets Layer). Check the Green Lock icon in the address bar of your browser. If you want to be doubly sure that your site is what it really claims – click on the Green lock and the digital certificate authority will have identified the domain name of the site. Banks and sites collecting financial information will have extended SSL certificates – identifying the site in the address bar itself next to the Green Lock. Always check for the Green Lock before you type any sensitive information. Remember the adage of the Latin Poet Phaedrus – ‘Things are not always what they seem‘ in all things online. Do Not click on links from mails and messages from any one. Type the site address directly on the browser. It is just too easy to cook up a link purportedly targeted at a genuine site but in reality pointing to a nefarious site.